Whether you're heading to Russia for vacation or business, there are a few absolute essentials that you can't forget to pack. Beyond the appropriate wardrobe, you should bring a power converter; your passport and visa; and much more. Make your list and plan ahead of time so you don't leave anything important behind. You can't travel to Russia if you don't have a Russian visa. In order to get one, you should apply well in advance of your trip through an embassy. You will also need an invitation (issued by the hotel at which you plan to stay or through a travel agent), and you can use this invitation to apply for your visa. Double check that the visa is valid during the dates of your trip, and carry your visa with you wherever you go in Russia as sometimes police do random checks. Bring some cash with you, as you will likely need it. Euros and USD can be exchanged almost anywhere in Russia. There will be ATMs in the airport (or wherever you are arriving), but it’s possible in Russia that they’ll be out of order—so don’t take that risk. It’s quite difficult to pay by credit card in Russia (and practically impossible to pay by debit card), so having cash is essential. Make sure the bills are in crisp, good condition, as it’s quite common in Russia for people (and even banks) to reject damaged bills. 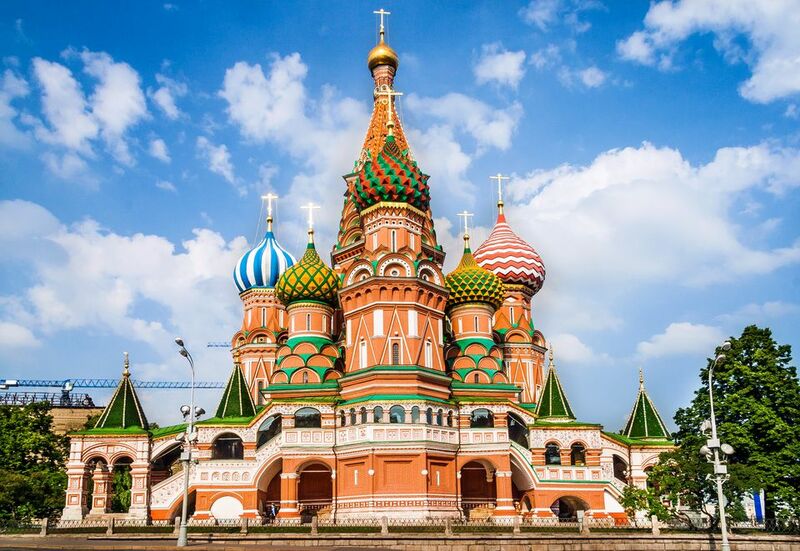 If you’re traveling to Moscow or St. Petersburg and are planning on seeing the tourist attractions, make sure you have a good way of securing your money. Either wear a money belt or get a small bag that sits close to your body with a secure closure—and keep an eye on it! If you are going to be staying with a host family, or interacting extensively with Russian people in general, it’s nice to bring some small souvenirs from your country (mugs, t-shirts, keychains, and so on). This is a small gesture that will be greatly appreciated. Russian toilets are notoriously dirty and unkempt, and you will often not find toilet paper inside. Carry some with you (or a small pack of tissues) just in case. You may also want to pack a travel-sized bottle of hand sanitizer as well. In general, it’s good to bring layers. A scarf will be particularly useful for covering your head if you’re a woman planning to visit religious monuments. This is usually not obligatory, but it is appreciated. Russian weather is quite unpredictable, and even if you’re traveling at the height of summer, it would be wise to bring an umbrella. This is especially true in St. Petersburg or ​northern Russia, where it's more likely to rain. When you're packing your toiletry bag, make sure to include prescription drugs and contact lens solution. Although you can buy most household items in pharmacies and shops in Russia, these particular things are surprisingly difficult to find. If you plan on going clubbing, you'll need to bring nice clothes. Many clubs, especially in Moscow and St. Petersburg, have a strict dress code and will not let you in if you’re not up to their standards. So don’t show up wearing jeans and a T-shirt, which may be fine if you're going to a casual, local bar but not to an exclusive club. Packing light is recommended no matter where you're traveling to. But in Russia, try to leave your oversized luggage and rolling suitcases at home. Instead, use a duffel bag that you can easily throw over your shoulder. Many Russian metro stations don’t have escalators but they do have huge staircases that must be climbed to get around the station, which is difficult to navigate with a bulky suitcase.